A lot of chip dips are made with all sour cream. I've wanted to try this dip recipe, made with sour cream AND cream cheese, for a long time.....today was the day. It went together well and now the recipe says I have to let it sit in the fridge for a few hours to mellow the flavors.......are they crazy?? If you know me at all......I am NOT a patient girl!!! 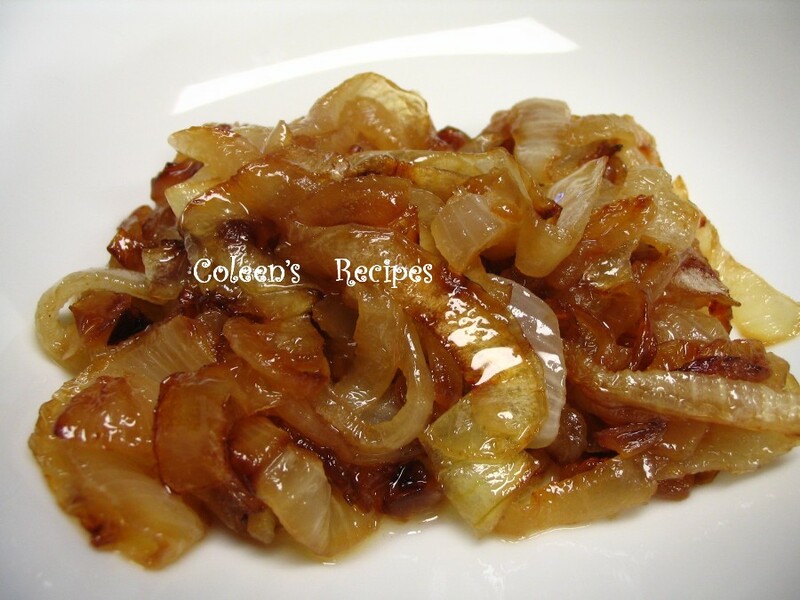 To get 1 cup of caramelized onions, it's going to take about two medium size onions or one huge one. Peel it, and slice it (into about 1/4" slices...maybe a little thinner) and cook them in a heavy pan with a couple tablespoons of butter. 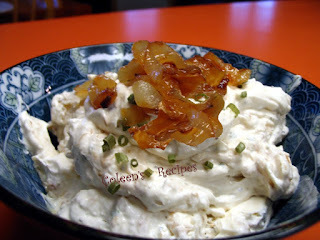 Beat the cream cheese until smooth and soft, add sour cream, garlic powder, onion powder, pepper, kosher salt and parsley. Mix well. Run your knife over the caramelized onions, so they are in smaller pieces. Stir into dip. Decorate with snipped chives (optional). Cover and chill for at least a few hours to mellow out the garlic and onion powder (overnight is even better).....Oh who am I kidding? 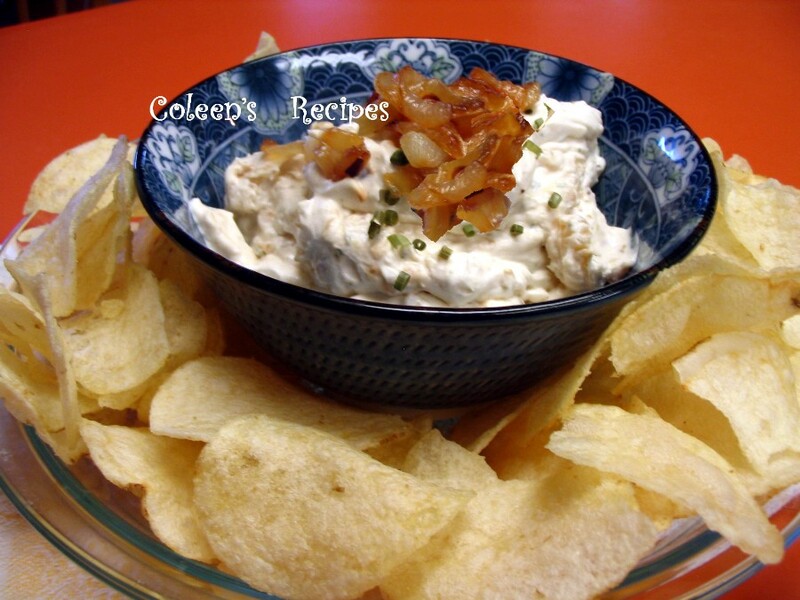 The cream cheese gives this dip a wonderful consistency and rich creamy taste. Your family and friends will love it....if you care to share.